Los Angeles, CA, September 9, 2015 — BOSS announces the availability of the DD-500 digital delay pedal. Filled with newly developed BOSS technology, it offers 12 distinctive delay modes and extraordinary audio quality, along with deep editing controls, a graphic display, patch memories, MIDI and more. Small in size and massive in creative potential, the DD-500 allows musicians to create any delay sound they can imagine. 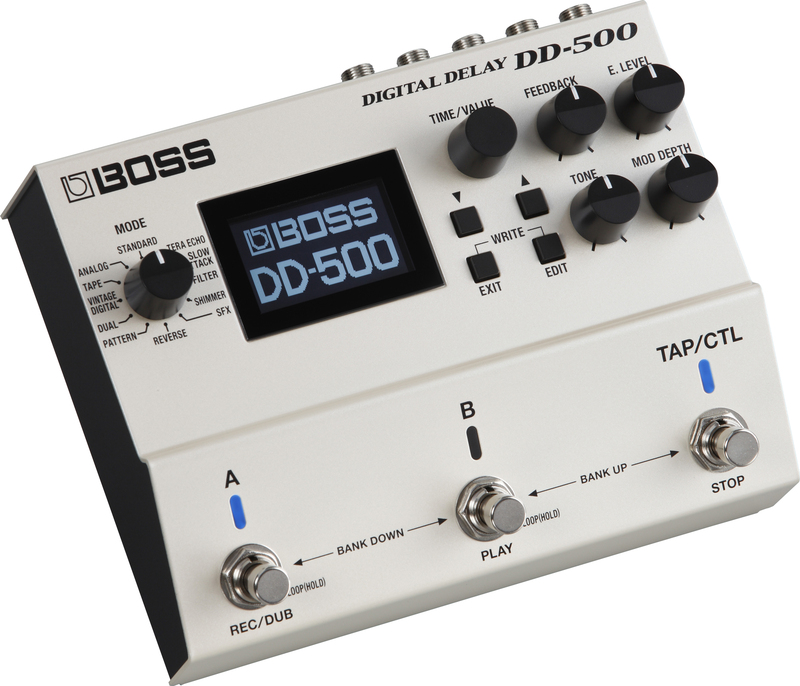 To learn more about the DD-500 Digital Delay, visit www.bossus.com/products/dd-500/.